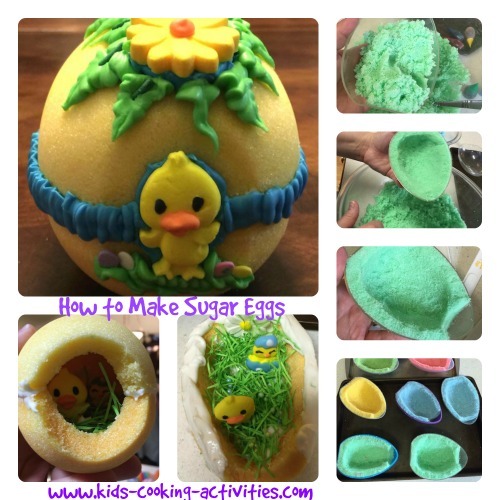 How to make sugar eggs and decorate them with your kids this Easter season. 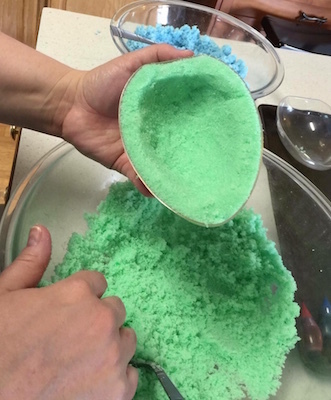 In a large bowl add 2 cups sugar and 3 ½ teaspoons of water. Start with a little water and continue adding just a little bit at a time. You just want all the sugar to be wet enough to stick together. The wetter your sugar the longer it will take to set up and dry and if it's too wet it won't hold the shape of the mold very well. 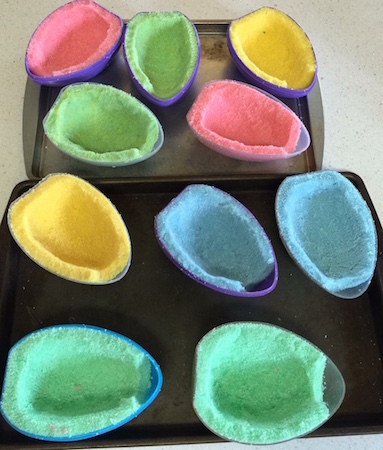 After you mix the water and sugar, press the sugar into your egg molds about 1/4-1/2 inch thick. 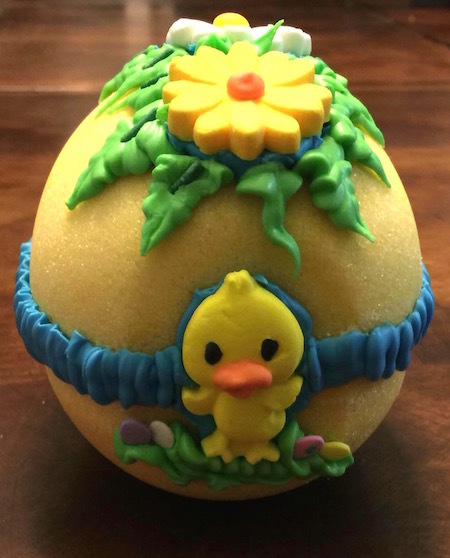 You want it thick, but if you get it too thick, you won't have much room inside your egg. Tip: Once the egg is dry you won't be able to make it thinner. 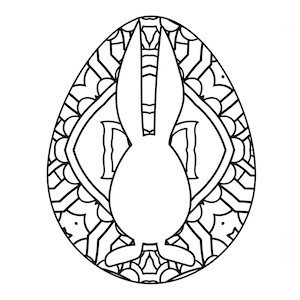 Around the top edge of your sugar eggs, make a flat edge so that the two egg halves will sit flat together. 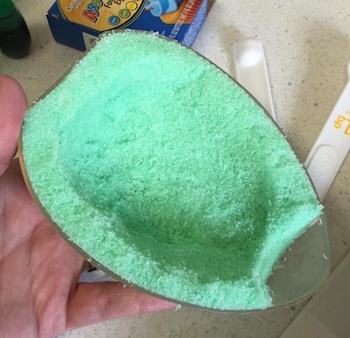 After that, take a spoon and take a small scoop out of the front of your egg, on the top and bottom. 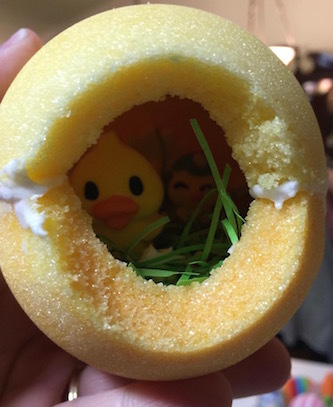 This will leave a hole you can peek inside your egg. Set aside to dry overnight. They'll get really hard and come out of the mold pretty easily. This recipe has egg whites so please make sure small children don't try to eat this! For a recipe using meringue powder and not egg whites see this royal icing recipe here. After your eggs harden mix royal icing. This icing will dry rock hard, so be sure to keep it covered tight when not using it. Spread icing in bottom of your egg. 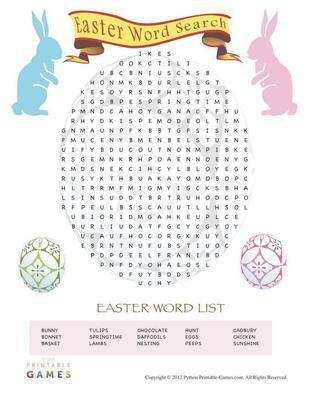 Use stickers, little wooden bunnies, little wooden eggs or small Easter decorations of your choice. 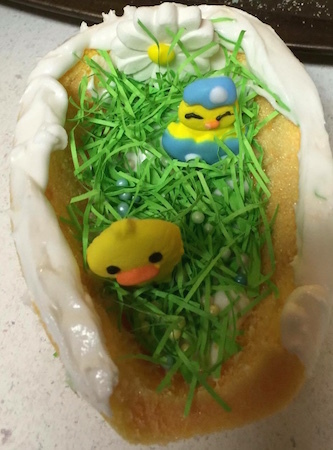 Place a little Easter grass if you desire into the icing. 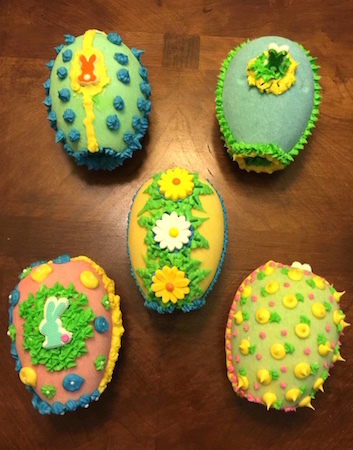 Add your small Easter decoration into the icing as well. Put icing around the edges on the bottom and put the top on. You can use your finger to wipe off the extra and fill in the empty spots. 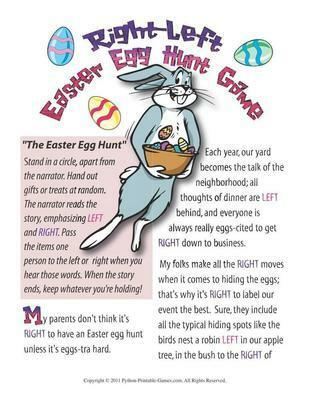 Don't leave the extra because it will get hard and can mess up the outside of the egg. Using a cake decorating bag with tips decorate the outside. Be sure to cover the middle seams and go around the rough edges on your peeking hole. Decorate the rest as you would like. 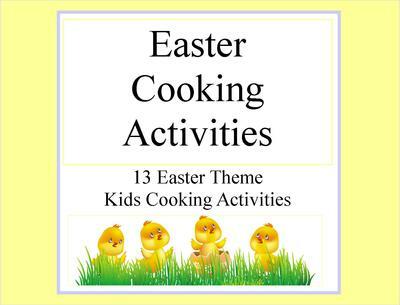 These really turn out beautiful and kids will be able to assemble and decorate easily for the Easter season.